Presentation is everything. 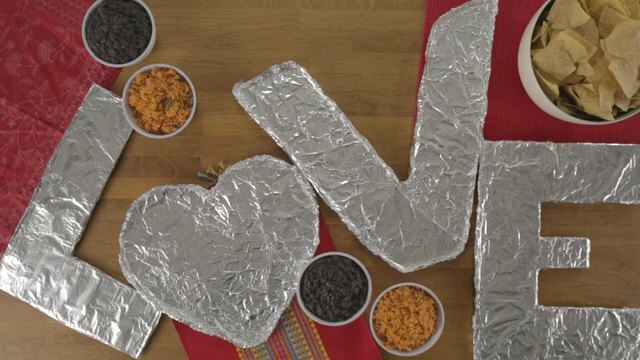 A simple taco bar becomes something special when you use it to spell out your L-O-V-E. 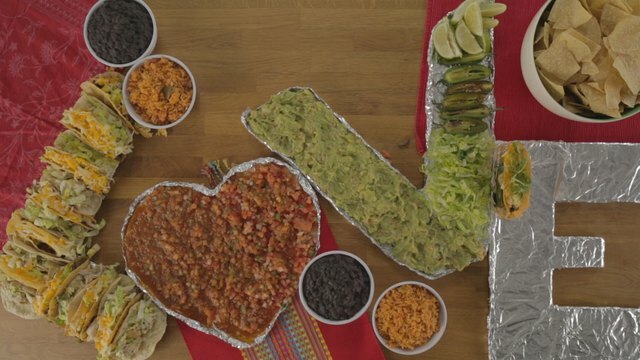 Cause after all... love — and tacos — make the world go round. Cut out large block letters from an old cardboard box, and cover them with foil. 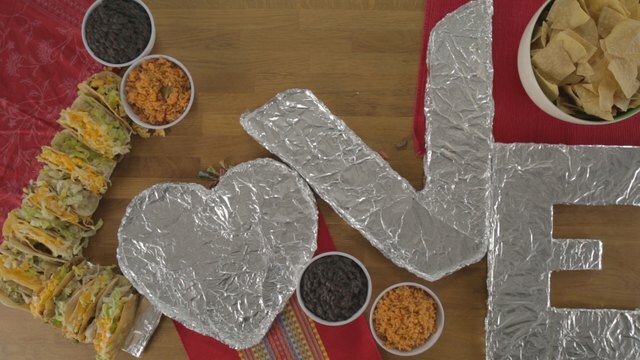 Fold up the edges of the foil to create "walls" on the edges of the heart and the V so you can fill them with salsa and guacamole. Arrange the letters on your serving surface. Fill hard and soft tortillas with the protein of your choice, then add a variety of fillings. 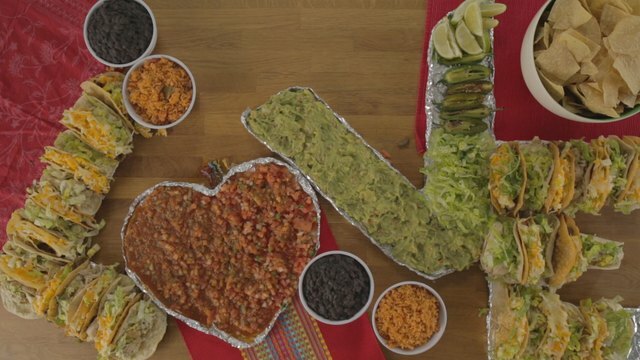 Arrange tacos on the L, leaning each new taco against the previous one. If necessary, use toothpicks to hold the first two tacos together. With that stable base, the rest will be easy. 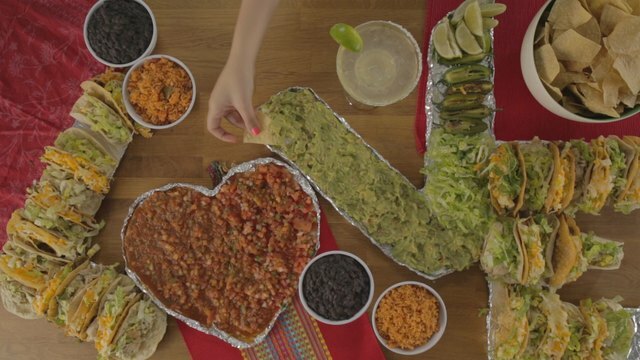 Fill the center of the heart with salsa or pico de gallo. Garnish the V with shredded lettuce, limes and guacamole. 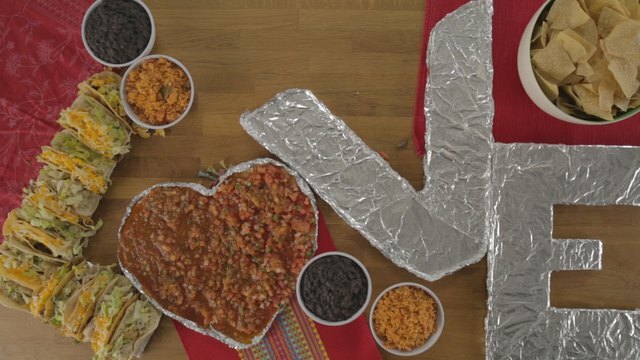 Complete the display by placing tacos on the E. Add rice and beans. Margaritas optional, but who doesn't love margaritas?